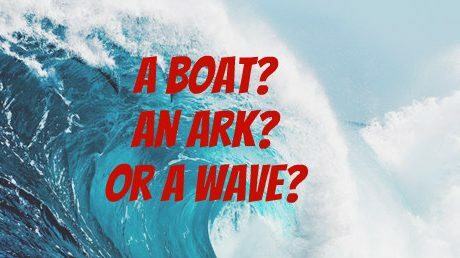 Read More "Do we need a lifeboat, an ark… or a big wave?" 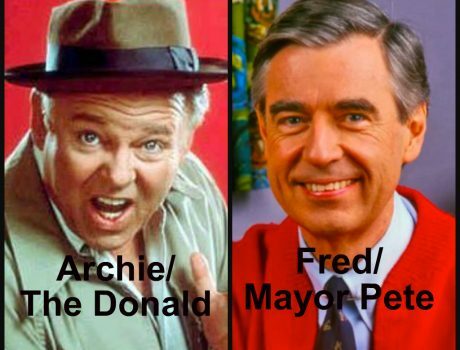 Read More "Archie Bunker vs Mr. Rogers"
Read More "Hello, I’m Vicki and I’m a Morality Junkie"
Read More "Is a life of service a life of joy?" Read More "Is there Hope for the Future?" My work and calling is social innovation. Someone once called me a “strategic meddler” – I observe how human systems function, imagine how what small intervention could do a world of good and start to experiment on a small scale until it’s ready to spread. 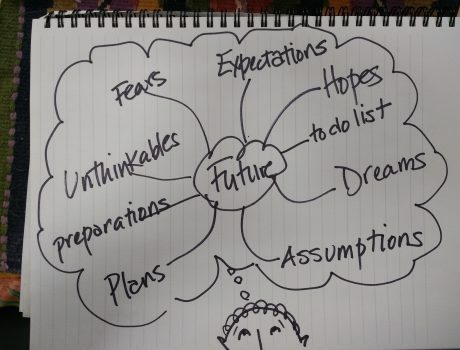 Financial independence allows me to practice this art and trade with love, immediacy and accuracy – even if no one else understands what I am doing until the idea has taken off. A social innovation is like a catalyst – introduced into an environment it will initiate a cascade of chain reactions. You can imagine it like a boulder which, when dropped in a river, redirects the flow for everything downstream. Or call it a “life-hack” for a society or like a little piece of code put in some unconscious life process that improves results or wakes people up enough to see new possibilities. It’s deceptively simply yet can have a significant effect. Social Innovations work with culture and systems, not politics, but they can make waves and change that politically seems impossible. From these simple protocols many fun, interesting activities have evolved. 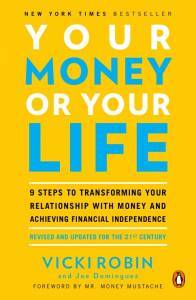 Your Money or Your Life is the book I coauthored with Joe Dominguez that presents his 9-step program. We wrote it to be a bestseller – and it has been for 25 years. From this transformational approach to money have come local and global communities, study groups, conversation groups and much more. Please join us at http://yourmoneyoryourlife.com to harvest the rich set of tools many people have created over 25 years. After years of participating in small group conversations designed to dig for truth rather than repeat platitudes, in 2001 two friends and I started hosting conversations in cafes to see what kind of leaven for democracy, connections and peace would ripple out. And ripple it did. The Conversation Cafe method is used around the world. In 2010 I undertook a 30-day, 10-mile diet to test the viability of my local food system. I’d seen the need for greater community self-reliance in the disruptive years ahead and knew that our island community was far too dependent on the mainland for… well, everything. 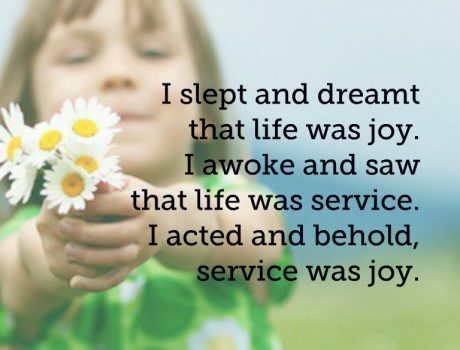 As part of this I helped start Transition Whidbey (see video below) which spawned and supported new projects and institutions on Whidbey Island, from an Organic Farm School to a fruit tree gleaning project to my subsequent book, Blessing the Hands that Feed Us. In Brazil and in the US I designed and hosted community Local Food Labs to seek next steps in building a thriving local food system. It’s March 2018 as I write. I continue to innovate, yet I also now understand how important political change is as well. Like so many, the “innovation” of the election of DT woke me up to the need to challenge those in power to do better – and at least do no harm. Still, the update of Your Money or Your Life is designed to seep financial common sense into the culture through the 9-step program and the basic analytic tools that work miracles on people’s relationship with money. I still believe that millions of people unhooked from the toxic messages of consumerism and dedicated to making happy, productive financially independent lives is both personally fulfilling and a model for society: financial security – however it comes – yields amazing returns in health, happiness, longevity, connections, meaning, purpose and civic engagement. It’s an innovation that keeps on giving! WATCH VIDEO "Relational Eating: Vicki Robin at TEDxSeattle"
WATCH VIDEO "Your Money, Your Life, Your Happiness"
WATCH VIDEO "Hope after all – WOW – <br>Whidbey Island 6/12"
Vicki has helped launch many sustainability initiatives including: The New Road Map Foundation, The Simplicity Forum, The Turning Tide Coalition, Sustainable Seattle, The Center for a New American Dream, Transition Whidbey, the 10-Day Local Food Challenge and more. 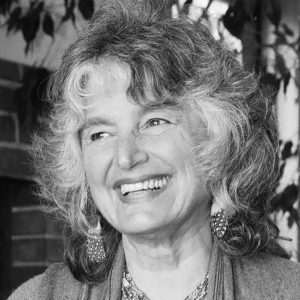 In the 1990’s she served on the President’s Council on Sustainable Development’s Task Force on Population and Consumption. I jokingly say that I’m terminally curious. I love to learn. I love to put thoughts together like a jigsaw puzzle and then wrap them in words. I love to tinker with social norms, seeing if a push here or there might make the system work better. My personal memories and my public works all have this flavor. I’m also quite fearless in the beginning of things – the fool who rushes through doors when others just see walls. The resulting projects usually arrive with a splash, but they survive because other people had the talent and drive to makes something of them. In my 20s I lived in several rural communities – Rhinelander, Wisconsin (the coldest part of the lower 48) and Florence, Arizona (one of the hottest) and this gives you a clue about my approach. I call sustainability an extreme sport. I think it’s cool to get into a hot issue by living the solution, not just conjecturing. My first book, Your Money or Your Life, came out of living as much by my wits and as little by money as I could. I wanted to question our dependency on money and on buying stuff. My partner, Joe Dominguez, developed a systematic way to spend less, earn more, save like a demon and get out of “making a dying” with enough years left to enjoy life. Together we wrote the book which ended up selling a million copies around the world. Another passion is local food. Local because I think the most common, wholesome and sustainable way of life is people in communities solving their problems and meeting their needs together. Food because everyone eats – and eating closer to home works for a host of reasons: food security, sovereignty, freshness, fairness and health. In 2010 I undertook a hyper-local diet to test myself and the sufficiency of my island’s food system. 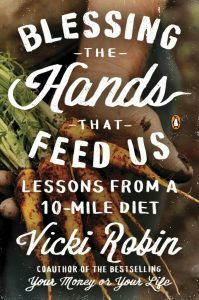 The experiment turned into a blog which turned into a book, Blessing the Hands that Feed Us: what eating closer to home can teach us about food, community and our place on earth. I’m over 70 and I now know what those “old people” meant about the older you get the less you know. For all my adventures when I was younger, I feel free-er now, more open, less “agenda-ed,” and more in mystery about how anything might turn out. When I was younger I believed my friends and I were going to “save the world.” Now life seems like an infinite faceted gem, a marvel as well as a terror, full of possibilities rather one big job. Like Alice in Wonderland. 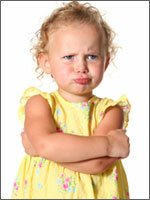 I think life just gets “curioser and curioser.” I still dive into experiments in truth, but Truth? I’ll get back to you on that after I die. Studs Terkel said the purpose of life was “to make a dent.” Maybe that means to have some small impact – make your scratch on eternity. Maybe it means to take all our shiny ideas and dent them a little so we can drive around in them without pretence, enjoying a sunny day.